Instagrammer Saykal Jumalieva, 21, rocks out to ‘Stayin’ Alive’ outside a traditional Kyrgyz yurt, calling attention to the plight of ‘kelins’ or ‘brides’ in Kyrgyzstan. Photo rights via Wikipedia Commons, 2006. A video of a Kyrgyz rural bride dancing to “Stayin’ Alive,” a classic Western disco song by the Bee Gees, goes viral in Central Asia with nearly 83,000 views to date and thousands of shares on other social media platforms, bringing media attention to the problem of early marriage and the harsh reality of rural brides’ lives in this former Soviet republic. Early marriage , although outlawe d, is a common problem within Central Asian republics where underage girls, especially in rural areas, are forced to enter arranged marriages. 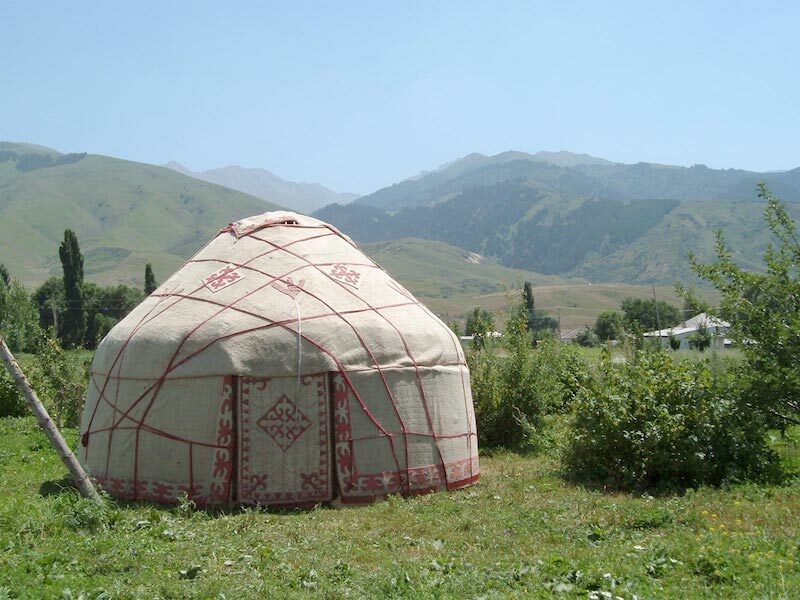 Kyrgyz and Kazakh girls additionally suffer from bride kidnapping . Around 12% of brides in Kyrgyzstan  are married before their 18th birthday, and annually nearly 12,000 Kyrgyz girls are kidnapped  into forced marriages. Most of the newly-weds in this region live with the husband’s parents and the majority of the housework, ranging from cleaning to cooking for the whole family and preparing beds, falls on the shoulders of the new bride. Society expects brides to serve their husbands’ families. In doing so, they lose their freedom of movement, the chance to study, and in most cases, the right to work outside the home. Kelins are vulnerable to domestic physical abuse and mothers-in-law especially perpetuate psychological violence against them. Despite of state-funded national programs and internationally-funded civil society initiatives, attention to the issue has not been effective enough to make a lasting impact on women's lives. Innovative approaches like this Kyrgyz qizi's (Kyrgyz: girl) Instagram dance are far more effective in raising awareness about the harsh realities of kelins in rural Kyrgyzstan.